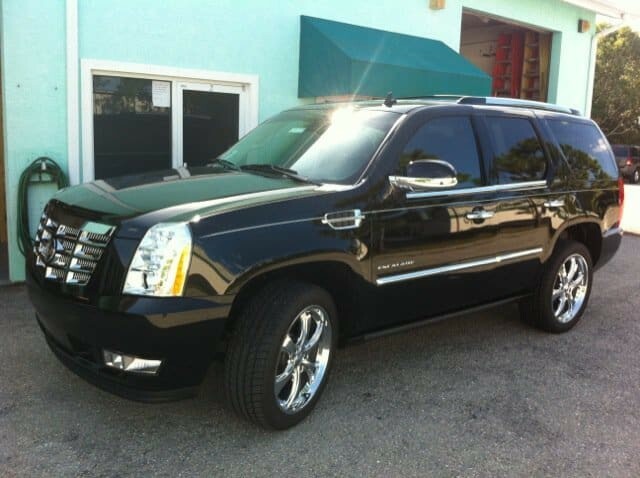 In Cape Coral, Florida the best type of vehicle to drive in is a comfortable one. Living in Cape Coral brings warm and sunny weather most of the year, especially during the summer months when the sun is at its peak and the temperature and humidity are high. With daytime highs of 95 degrees in the summer months, vehicles take a beating. Entering a parked car feels like walking into a sauna! If you are looking for cooler experience and a way to keep the interior of your vehicle protected contact Quality Custom Window Tinting. Wow! All I can say is WOW! They gave me great customer service as well as made my car look brand new. I went in not knowing what I wanted and they talked me through what each film could do. Best in town. BY FARRRR! !